In the fall of 2012, four gun-related incidents occurred within the 2 block radius of a vacant lot in the Garfield community of Pittsburgh, PA. Two were fatal, killing a 23 year-old man and a 17 year-old innocent bystander. Furthermore, Garfield is a food desert, where 40.6% of households live below the poverty line. Due to lack of transportation, many residents have to shop at convenience stores where there is no option to buy produce. When they do make it to a bigger grocery store, sometimes they still cannot buy produce because it is too expensive and doesn’t have a long shelf life. Unwilling to see these trends continue, Garfield residents got creative with how to transform these vacant plots of land, with two urban farmers leading the way. Now, the neighborhood of Garfield is quietly becoming a local food mecca. When CVN AmeriCorps members serving with PULSE (PittsburghUrban Leadership Service Experience) moved into their Garfield home in July of 2013, they understood that while it is great to observe experienced farmers, getting your hands dirty is often the best way to learn. Shortly after arriving, they helped clear land behind their house and to create the Kincaid Street Community Garden, a place where AmeriCorps members and and their neighbors to dig in the dirt and grow their own food side by side. Since the debut season, the community garden has grown. Last summer, 18 raised beds were tended by 13 families and a dozen children. This year, the gardeners plan to build 20 more beds to allow more residents of Garfield the opportunity to grow their own food. With the coming expansion, AmeriCorps members plan to create a space for children to collectively care for the “Discovery Garden”, an edible garden for kids only. Roughly 1,250 children live in the neighborhood of Garfield (39.9% of the population). The education that AmeriCorps members provide at the garden will teach children about the importance of fresh and healthy food. It will include vibrant and aromatic plants and flowers to attract beneficial insects and pollinators for the whole garden, to teach the important role that bugs play in growing our food. 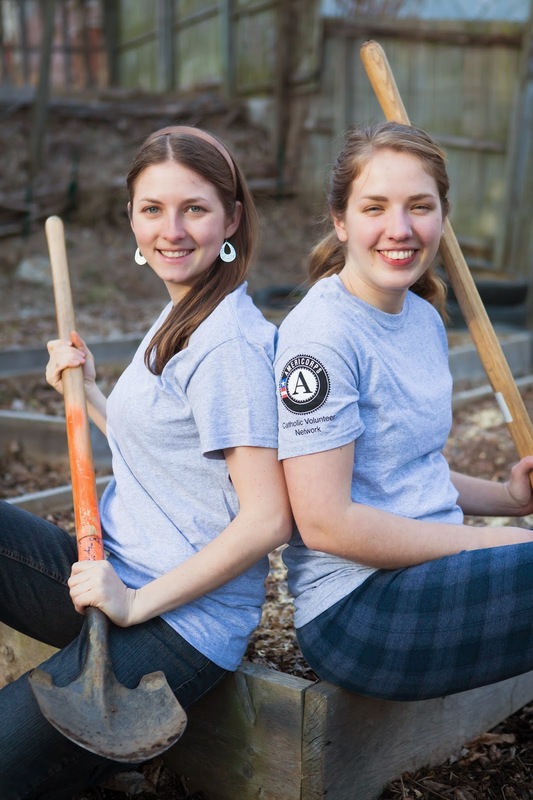 This spring is extremely busy for PULSE’s Garden Coordinators and CVN AmeriCorps members Leah Thill and Lydia Yoder. They have scheduled a number of days for local volunteers and gardeners to build additional garden beds, exchange seeds and prepare soil for growing. They are working closely with the Garfield Community Action Team to make it all happen, with support from the local Community Development Corporation and, of course, from PULSE. CVN AmeriCorps members and the Garfield community work together to clear a vacant lot. Thill describes the Kincaid Street Community Garden as “an opportunity to be self-sufficient as a community.” Experienced gardeners grow vegetables beside new gardeners, sharing knowledge and best practices, until everyone is a seasoned gardener. The formerly overgrown lots where the garden now grows were eye sores to the surrounding neighborhood. 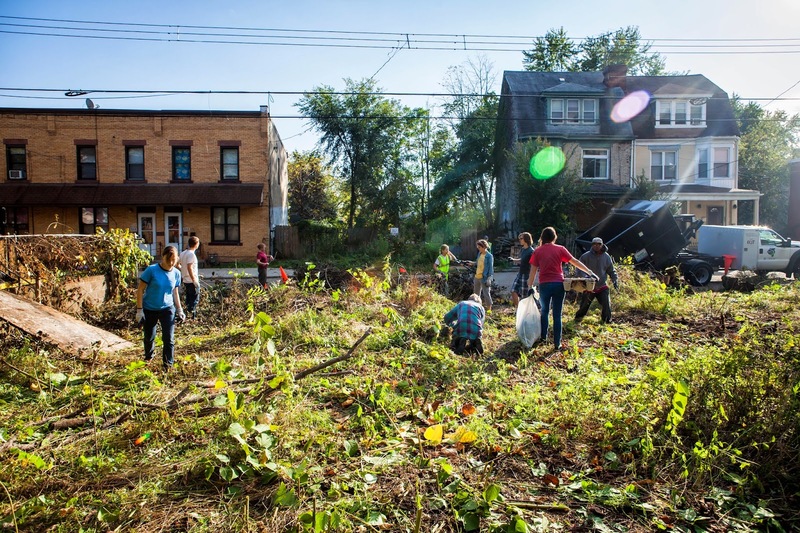 Yoder appreciates “the satisfaction of taking that first step of clearing a vacant lot” and how that can immediately make a neighborhood feel more safe and inviting. Even though Garfield is technically a “food desert” with no grocery store in the neighborhood, it is now an oasis for fresh, healthy, low cost produce. Through the community garden, PULSE AmeriCorps members empower residents to grow their own food, educate children about nutrition and engage and strengthen the community as a whole. Plus, meeting some new friends in the process allows for a fun time for all!